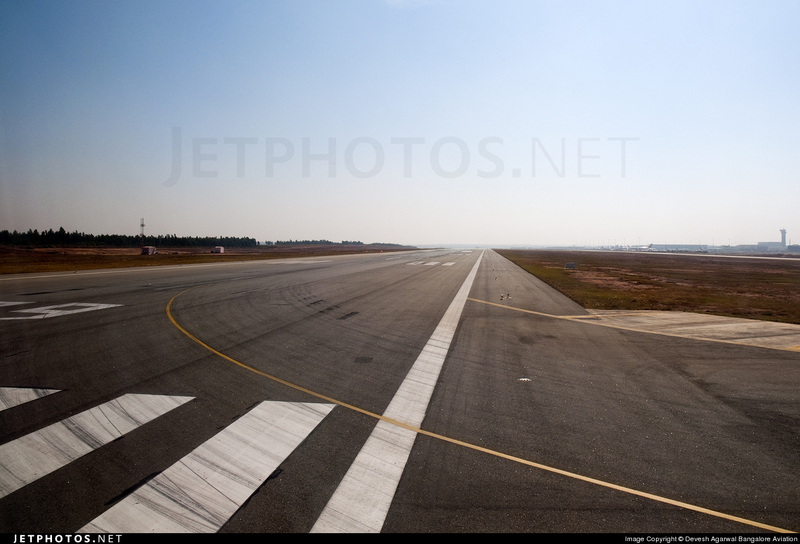 Runway 09 at Kempegowda airport, Bangalore. Image copyright Devesh Agarwal. All rights reserved. Used with permission. 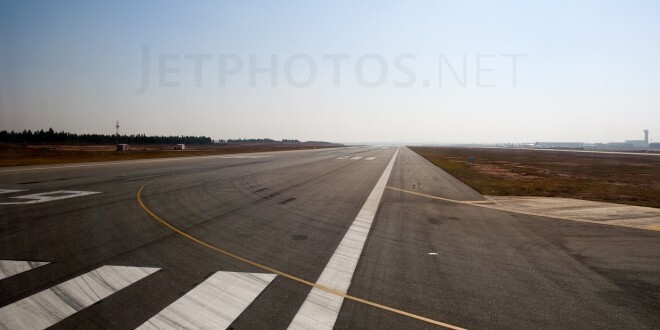 Late last month, the airport operators of the Bengaluru International Airport announced a closure of the sole runway (09-27) starting from March 11, which will result in a suspension of all flight operations during the day, effectively shutting down the whole airport. 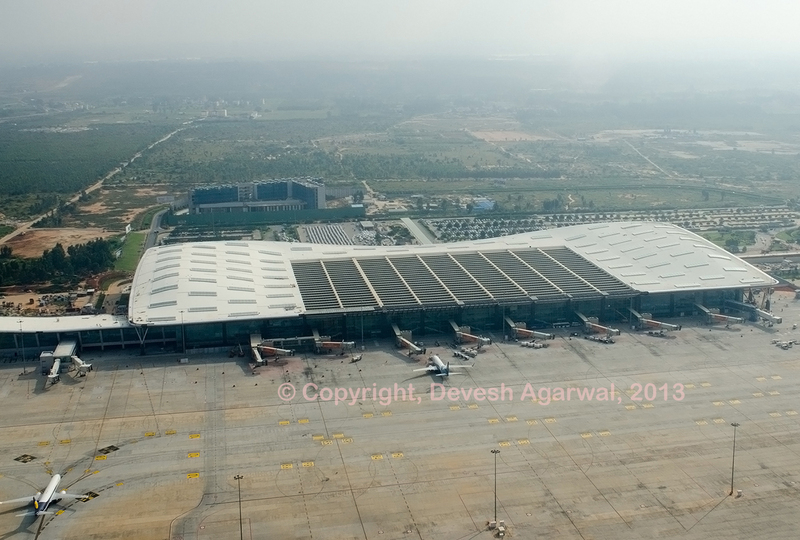 The operators, Bengaluru International Airport Ltd. (BIAL), indicated the runway closure was being done to facilitate “runway maintenance work” on the advice of a world leading consultant who “monitor the airfield pavement surface and its performance”. The runway will be shut down in three phases. 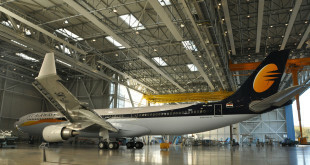 The first phase will see a full runway closure between 10:30 to 17:30 IST (5:30pm) from March 11, 2012 to April 3, 2012. Phases two and three will see partial runway closures. The shorter runway length will allow for operations of lighter aircraft (turbo-props or flights of shorter distances which will carry less fuel and therefore less weight). Full details are available in the AIP supplement. For detailed information on runways, numbering, thresholds, loads, etc. read this article and its second part. When The Hindu Business Line reported of a possible full scale runway closure the aviation community in Bangalore was abuzz on the possible reasons. A full scale runway closure is a major event, and for a runway to be closed for “maintenance” implies serious repairs. Serious repairs on a spanking new runway, at a new airport which has commenced operations less than four years ago, clearly implies something extra-ordinary. A source with extensive knowledge of the Bangalore airport project, expressed extreme surprise on the timing of the repairs, as the runway surface was originally specified to last for at least twelve years. Another source, also closely involved with the airport project, confirmed the failure, indicating the top layer of the 450mm thick runway has “been determined to be not as structurally strong as should be”, calling the failure a “major civil engineering deficiency”. This will require the complete top surface to be removed and re-laid. Sources cannot be named as they are not authorised to speak to the media. The runway was constructured by former BIAL promoter and share-holder Larsen and Toubro, known as India’s largest engineering and construction company. In 2005, Larsen and Toubro invested 55.54 crore for a 17% share in the airport project, which it sold in December 2009 for a hefty 1,100% profit to GVK Power and Infrastructure for Rs. 686 crore (Rs. 6.86 billion) and exited. In its operations, BIAL behaves responsibly, performing runway maintenance with the regular consistency and efficiency of a finely tuned Swiss watch, but all these efforts appear derailed by this failure. The cracking of the runway surface apparently began in 2010, when the airport was just two years old and in the midst of the eonomic recession which saw domestic traffic levels plunge 20%. Airport sources inform that BIAL brought in Applied Pavement Technology, Inc. (APTech), a world renowned engineering consulting firm specialising in airport pavement technology, to consult on the prematurely failing runway. Repeated attempts to repair the runway over the last two years have not been succesful. It is learnt, that the degradation of the runway surface has reached such a serious level, that the effect of the monsoon on the pavement is no longer predictable, thus forcing BIAL to proceed with the maintenance work on a war footing so as to complete the activity before the onset of monsoons in May. Despite many requests, none of the BIAL spokespersons commented on the premature degradation of the runway surface, or its possible causes. Regardless of the reason(s) for the runway failure, from an innocent oversight to malicious intent, none of them speak well to the reputation of Larsen and Toubro. The stain is even deeper considering the company is supposed to the best in India. In the same coin, while it is also a victim of sorts, BIAL cannot escape blame. If it is a genuine omisson or mistake, one may even consider forgiving Larsen and Toubro. After all Bangalore was one of the first runways they ever built; but the three private promoters of BIAL were the leading icons in their respective areas of specialisation. As the “trusted custodian of a key national asset” where was this collective skill? Does it not speak to BIAL’s oversight and monitoring at the time of construction? Is this a case of poor quality control? or were things taken on a little too much on trust just because the runway construction contractor was also a promoter? BIAL is an honourable organisation, and Larsen and Toubro could be doing the right thing in repairing the runway at its expense, but the inconvenience to be suffered by the various stake-holders of the airport — airlines, staff, passengers, concession operators, industries, even taxi drivers, is all too real. The monetary and business impact is going to run in to crores and crores of Rupees with thousands of man-hours lost. The citizens of Bangalore may not demand compensation, but answers they are. BIAL should determine and fully disclose the precise reason(s) for the failure, the associated costs, and corrective action reports. If for no other reason, to ensure it does not happen again, and for the reputation of Public-Private-Partnership to be retained.